With Obior, you have the control to make your homepage look the way you'd like it to look. With each theme the photo is meant to be a certain size in order for it to fit within the dimensions of the given theme for the homepage. If your upload is wrong size you will be brought immediately to the editing spot where you can crop the image to suit the theme's dimensions. 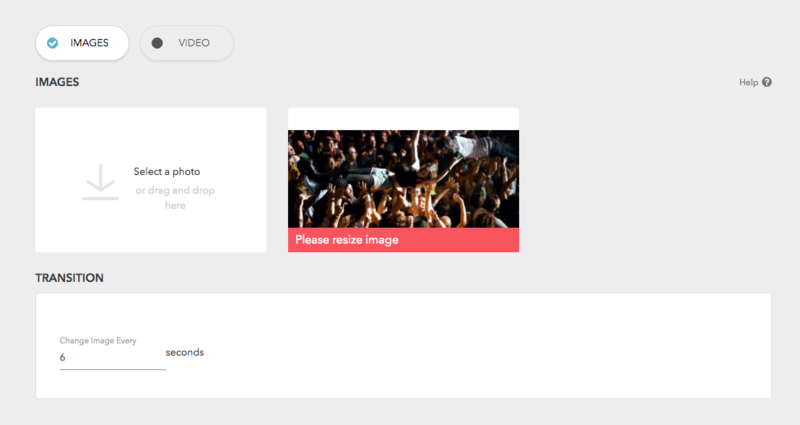 If you change themes you will be notified on the homepage to resize your images. To do this just quickly use ‘edit image’ tool which is found when you hover your mouse of the image. Choose Crop & Edit, and the image will be directed to crop to the dimensions the theme calls for. Speed of shift between photos can be modified in ‘Transition'.